Explore the numerous day-trip ideas around Fremantle: Sorrento Quay Boardwalk (in Hillarys), Bunbury (Bunbury Farmers Market, Koombana Bay, & more) and Rockingham (Penguin Island, Rockingham Beach, & more). Pack the 16th (Tue) with family-friendly diversions at Adventure World Perth Australia. 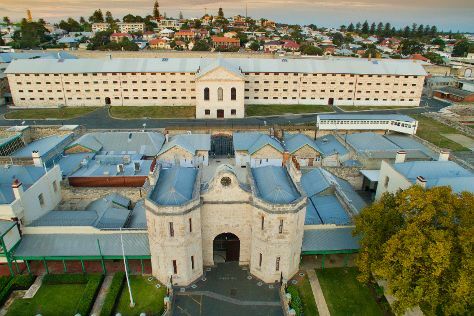 The adventure continues: contemplate the long history of Fremantle Prison, indulge your thirst for a good beer at Little Creatures, examine the collection at The Shipwreck Galleries, and take in the waterfront at Fremantle Fishing Boat Harbour. For photos, traveler tips, maps, and other tourist information, you can read our Fremantle day trip planner. If you are flying in from Singapore, the closest major airport is Perth International Airport. In July in Fremantle, expect temperatures between 21°C during the day and 7°C at night. Cap off your sightseeing on the 19th (Fri) early enough to travel back home.